Are you interested in earning a complete income working from home? You don’t need to quit your day job – just work on the side! Instead of referring your family and friends to us directly and telling them about the BeamARABIA box that you LOVE, why not work for us instead?! We offer a very generous re-seller package with the ability to earn well over $1000 per month working from home! Will you support me? YES. We will list you (and which state/suburb you are located in), your web site/ebay (if applicable), your phone number, email address and store (if applicable) on our RETAILERS PAGE on our website. The Arabic Community love to buy products in person, and speaking on the phone with real people – instead of purchasing on the internet and communicating via email – this is a great advantage for you. Whether you own a local coffee shop or pizza shop (or are simply a stay-at-home mum, and have ties to an Arabic Community in your area) – this re-seller program can work for you! Why not help your Arabic community watch their Local Live Arabic TV Channels, and at the same time, earn an income. Depending on your situation, we may have custom business cards made for you – or signage for the outside/inside of your store. What do I do with the Business Cards? Your business cards will have your details on them. Hand them out to your family and friends, place them at your local Manoush (arabic bakery) shops, local coffee shops etc. Your cards will have your number on them, so people can contact you directly to make enquiries and purchases. Word of Mouth is the best technique of gaining a customer base. If you are interested in becoming a BeamARABIA re-seller, please use the contact form on our website to apply. Please provide as much information as possible. If you know a brother or sister who is in need of some extra income, please share this page with them – you may make a positive difference. Note: If you are located in Melbourne and you own a local shop, we can offer to provide you with a slightly different service. We can place our products for display at your shop (without you having to purchase any packages in advance) – then, on a fortnightly or monthly basis (depending on your sale volume), we will arrange to collect the money owed for the products sold, and re-stock your store with more product. Please note that this service is only available to local stores in Melbourne’s northern suburbs (unfortunately we can’t offer this service in other states, locations or rural areas as of yet). 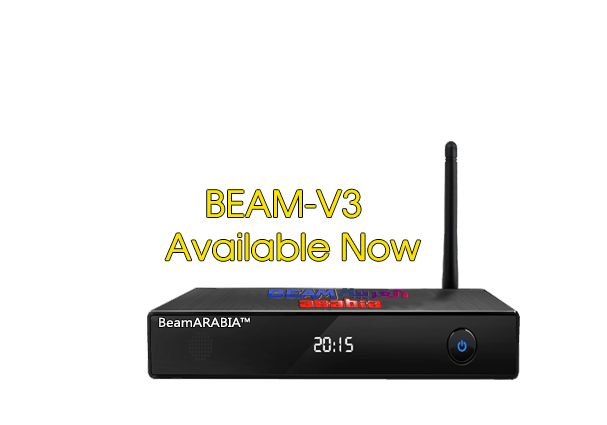 Arabic IPTV Australia, Arabic IPTV Box, Arabic Channels, Arabic Box, BeamARABIA Arabic IPTV Box no monthly fee, Arabic TV Australia. Shipping Worldwide!